Contest period: weekly Contest held from Monday 00:00 till Friday 23:59:59 (terminal time). To participate: register via contest page. 4 – 10 place: $70 – $40. To win: get biggest balance when contest ends. 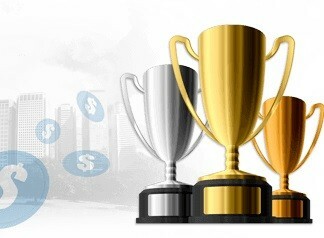 Prizes cannot be withdrawn, profit can be withdrawn. Maximum profits can be withdrawn <= prize fund. Source: ForexMart – Money Fall Contest.